Location: Rainford Station is at the end of Rail Close. The Ormskirk platform is at the west end of the station on the south side of the Kirkby to Wigan Line. Notes: Rainford Junction was built by the Lancashire and Yorkshire Railway as a replacement station for its existing facilities on the Liverpool Exchange to Wigan Line. The reason for the relocation of its station was to facilitate interchange with both the St. Helens Railways line to St. Helens which opened on 1.2.1858 and the East Lancashire Railways line to Ormskirk which opened on 1.3.1858. Both lines came into the new station from a westerly direction, the St. Helens line curving in from the south and the Ormskirk from the north. A single track link line was provided between the St. Helens and the Ormskirk lines which bypassed the station but it was mostly used by goods services. 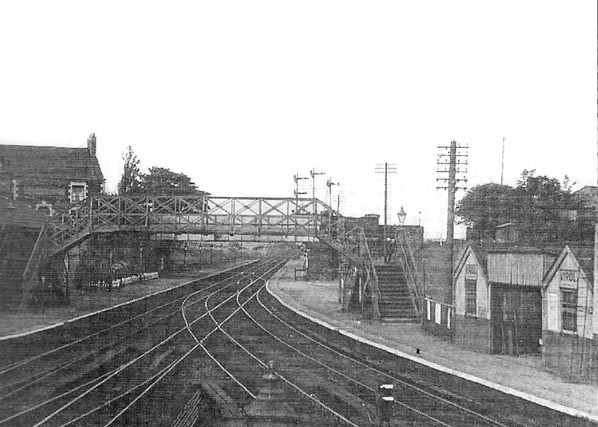 In order that the operation of the main line through Rainford Junction was not effected a single platform was provided for the St. Helens line. In effect it was a continuation of the westbound (Liverpool) platform that stretched beyond the junction. The St. Helens Railway had its own basic wooden facilities on this platform. Trains on St. Helens services could terminate here without blocking the main line. At the time of opening the St. Helens platform at Rainford Junction station was served by four trains per day. The St. Helens to Rainford Junction line became part of the LNWR on 4.8.1864 and by 1904 they were operating 8 trains per day which connected with L&Y services. In 1923 all of the lines into Rainford Junction became part of the LMS but they did not alter the pattern of services. Trains still ran independently to St. Helens and to Ormskirk. Passengers wishing to travel the entire length of the line had to change at Rainford Junction. By the mid 20th century traffic levels on the line had declined and by 1951 only three workman's trains operated at morning and afternoon rush hour. 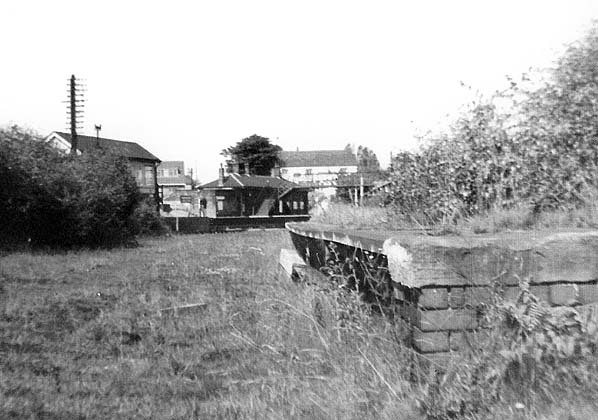 Despite protests regular passenger services ceased on 16.6.1951 and the Rainford Junction St. Helens Platform fell out of use. The line remained in use for goods services and for passenger excursions and diversions up until 6.7.1964. 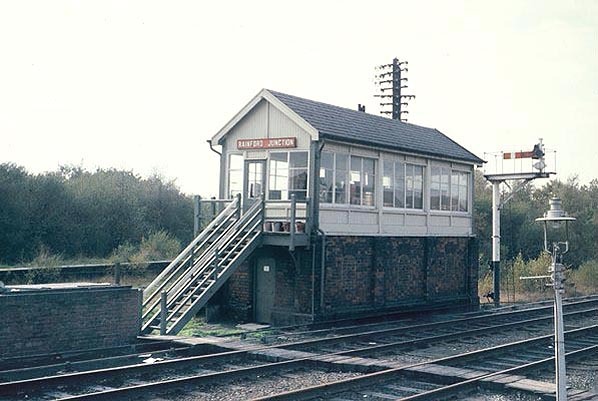 Rainford Junction Station is still open today but it was renamed Rainford in 1973. 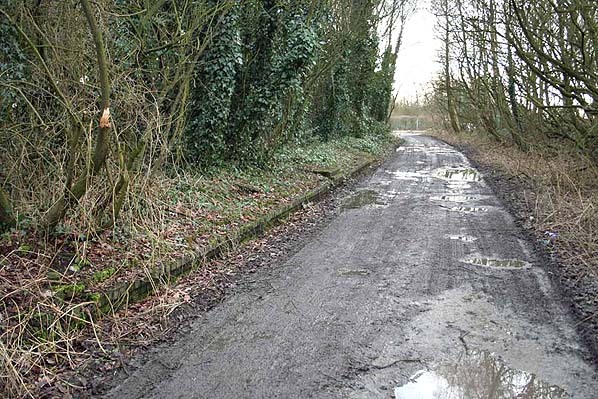 The St. Helens platform can still be seen next to a muddy track although it is heavily overgrown with trees.